Près de la maison de l'océan, Animaux acceptés, piscine, cour clôturée, navette de plage saisonnière! Cette belle maison accueillante pour les animaux de compagnie dispose d'une piscine couverte et d'un jardin clôturé, parfait pour les familles avec des animaux domestiques et les petits enfants! Le plan d'étage à aire ouverte offre un espace de vie généreux et est parfait pour recevoir de grands groupes! Appelez-nous maintenant pour plus de détails car cette maison est sûre de louer rapidement! Activités gratuites incluses! Faites une partie de golf, profitez d'une croisière sur les dauphins, explorez Hilton Head à bicyclette et faites même ressortir votre enfant avec une partie de golf au putt-putt! 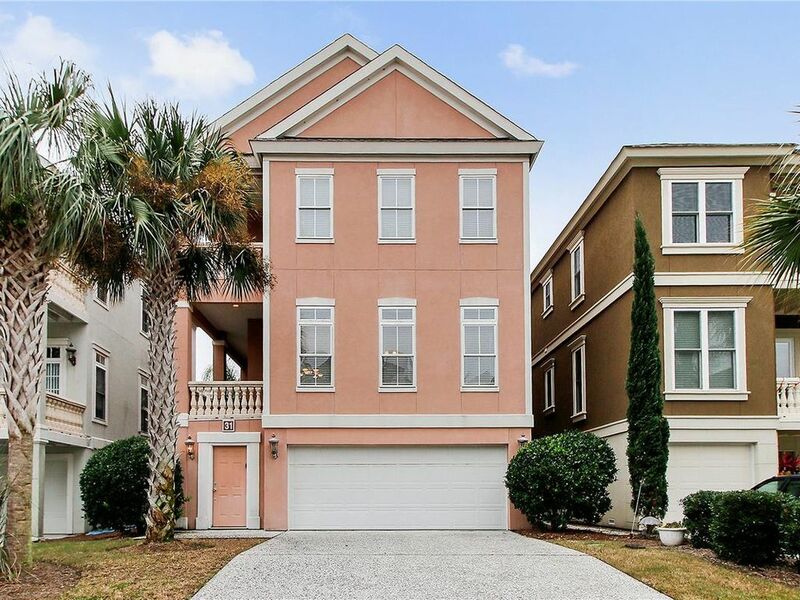 Pour rehausser votre expérience de vacances, Vacation Homes of Hilton Head comprend notre Southern Hospitality Pass, qui signifie que toutes les activités ci-dessus sont GRATUITES. Contactez-nous aujourd'hui pour en savoir plus sur l'amusement gratuit inclus avec cette location de maisons de vacances de Hilton Head! (1 pass pour chaque activité par groupe, les pass expirent tous les jours. 1 vélo par réservation). 2 chiens maximum (150 $ / chaque chien pesant jusqu'à 50 lb). * Navette de plage saisonnier qui va du Memorial Day à la fête du travail. Les heures d'ouverture sont du dimanche au vendredi de 9h à 17h. Pick-up sur demande. Lieu de ramassage / dépôt à déterminer par l'invité. Pour garantir une réservation, nous demandons un acompte de 50% à l'avance et le paiement du solde dû trente jours avant l'arrivée via * E-Check (* comptes nationaux uniquement) ou Visa, Master, Discover ou American Express. Perfect set up for our large group! Hi Ajumon, Thank you for taking out the time to leave us a review! We are happy to hear that you enjoyed your stay with us and we hope to have you again next year! House is beautiful and large enough for our family. Steve is fabulous! Honestly, it was such a pleasure to see him every day on our way to/from the beach. The pool was the perfect size for the kids. Furniture is a bit worn and refrigerator needs new drawers inside. One of the drawers in the kitchen was broken as well. Some shower curtains had mold on them and should be replaced. Despite these few issues, we would definitely rent again. We had a great stay while on the island! Will definitely be back. Hi Amy, thank you for writing us a review. We are glad to hear that everyone enjoyed their stay. We were unaware of these issues. If you called the office, we would have had the issues taken care of right away. The property manger has been notified. We can't wait to have you again! This house was perfect for our group and it was a bonus to have a fenced in backyard for the pup. The neighborhood is very pretty and it was easy to get to the beach. Hi Marlene, thank you for your feedback! We are glad to hear that everyone enjoyed their stay. We must agree it's very easy to get to the beach from the house. We hope to have you all again next year! This house is great! The ocean is wonderful and the added services are really extra!! We look forward to coming back! Hello Craig, We are happy to hear that you all enjoyed your stay with us and we would love to host you all again on your next visit! The house was well equipped for our large family. We would definitely rent again! Hi Amy, We are happy to hear that you enjoyed your stay and we'd love to have you again in the future!